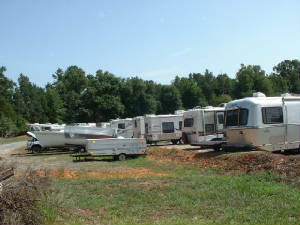 Don't want to give up your Boat & RV, but don't have the room to store it? 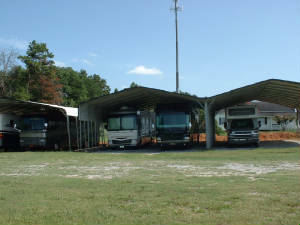 M&M Storage LLC is locally owned and operated on 455 N Old Laurens Road in Fountain Inn SC. 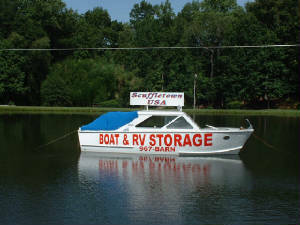 We offer boat & RV storage is perfect for those who don't have the space at their home to store them, or live in a neighborhood that has restrictions about boat & RV storage. At M&M Storage we take care of our customers property, with security and functionality as a top priority. We are a clean, well lit storage facility with access 24 hours a day, 7 days a week. Take your choice between open air and/or covered. All of these services are offered at affordable prices with friendly service!